Do you wana enjoy the satisfactory driving experience? 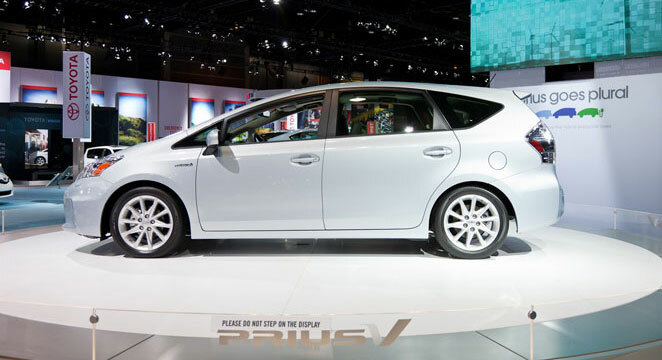 2012 Toyota Prius V has been designed by taking under consideration the safety requirements, fuel economy and comfort level of the passengers. 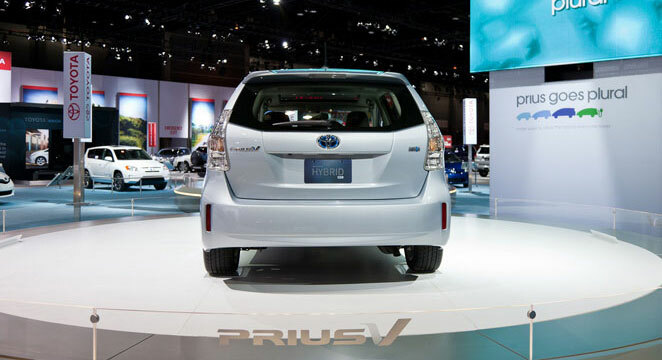 Don’t worry it’s quite versatile because “V” in Prius V ensures the versatility. 10 years ago Toyota Motor Corporations introduced the Prius models in the America; this model gained utmost success and win great acknowledgment of people. 2012 Toyota Prius V is a stunning car styled with trendy design and impressive exterior, its front fascia is almost similar to that of the 2011 model but the front fenders and hood are entirely enhanced composed of sheet metal. Headlight casing has been changed to integrate the improved ridge which trims down the wind hurly-burly just about the side view mirrors. 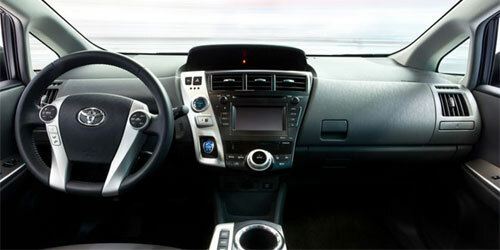 According to Toyota these minor changes has been incorporated in order to reduce the interior noise. 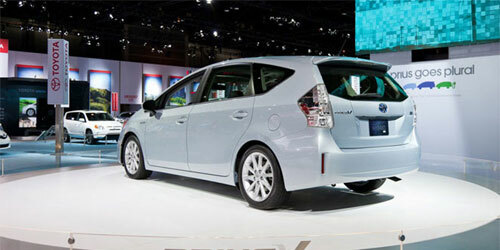 Side wise, 2012 Toyota Prius V looks like a wagon, it consists of elongated roof, long back doors and spacious cargo part. 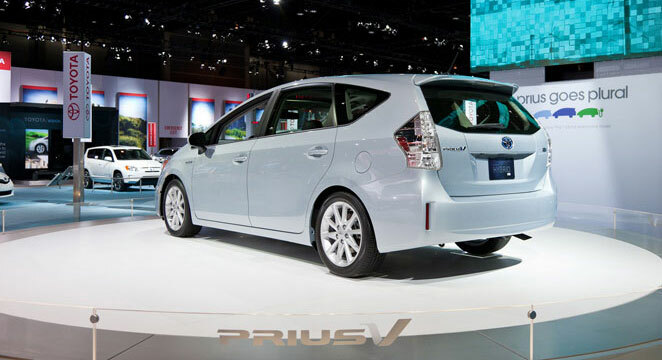 2012 Prius V features 17 inches wheels that offers superb road grip. Toyota worked out keenly on its coefficient of drag to enhance its fuel efficiency, in order to make it bit light weight Toyota has used special material and still then its weight is 232 Pounds. The material of its interior is composed of such stuff which decreases the effects of sunlight and keeps the inner side cool in sun-drenched days. 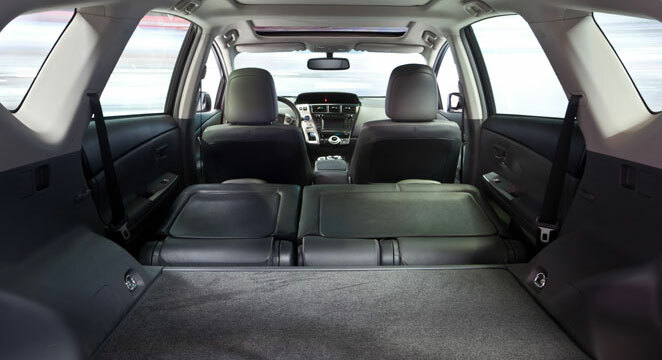 Back seats are controlled manually and perform the multi-functions that can be folded, reclined and mold to half flat level. Interior is quite spacious and offers 35.9 inches space for the legs. 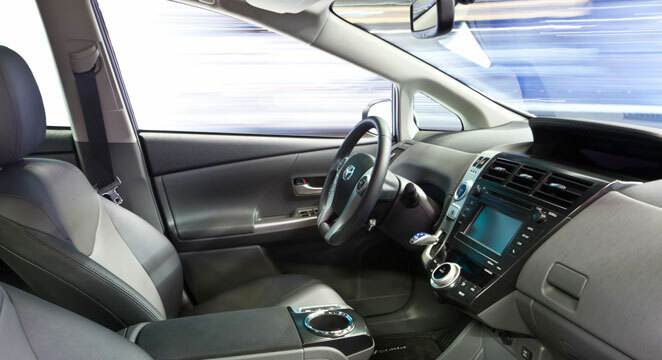 2012 Toyota Prius V features concave door panels which facilitate more space for the knees and offer an airy and spacious cabin. 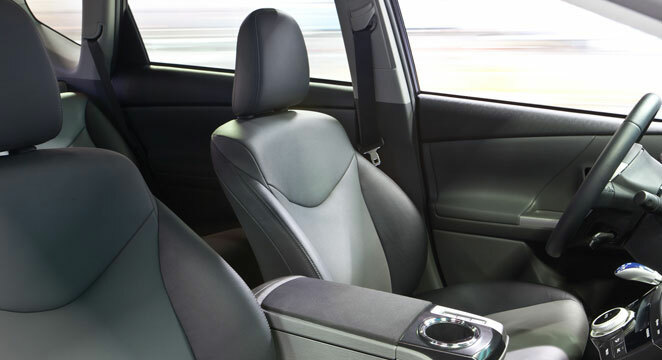 In short, its interior is extremely comfortable and driver and all the passengers can comfortably accommodate in it even for the long distance travelling. According to the Environmental Protection Agency (EPA), its MPG value is quite ideal i.e. 44 in the city and 40 on the highway (Combined value of 42 mpg). 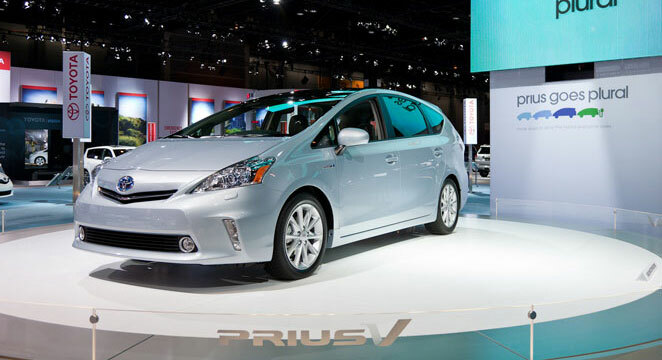 Just like the third generation Prius, 2012 Toyota Prius V employs the Hybrid Synergy Drive System. That’s why Toyota has so confidently claimed that it is low emission vehicle. 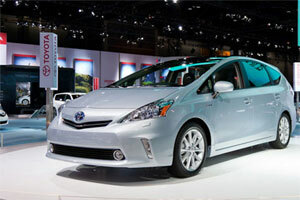 Good news for the enthusiastic drivers; 2012 Prius V has come up with four driving modes i.e. standard driving mode, Eco, EV and Power mode. Power Mode: Power mode facilitate the driver to conveniently cope up with the zigzag places like mountains and slopes. EV Mode: Prius V can be operated on power of battery merely in the EV mode; it means one can use this driving mode while traveling for the short distance like 1 mile. Eco Mode: Eco driving mode is basically included for those who desire to have a most fuel economical car; fuel economy at its maximum can be attained in Eco mode. 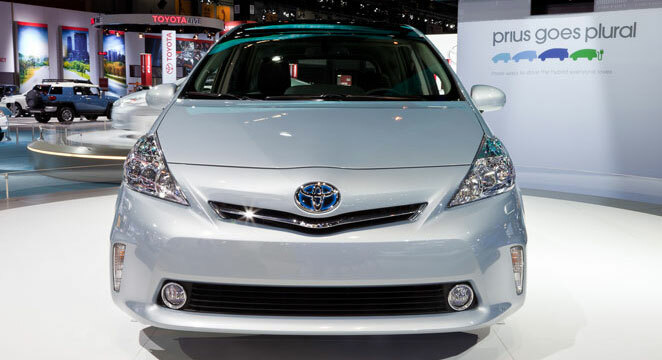 2012 Toyota Prius V has been constructed with force-absorbing body structure, Toyota has extensively used steel of high strength while keeping in consideration the weight requirement to made it not so heavy. From all the sides safety elements are included in such a way to ensure the safety of all the passengers incase of smash, cabin is also equipped with 7 air bags which also includes knee airbag for the driver. 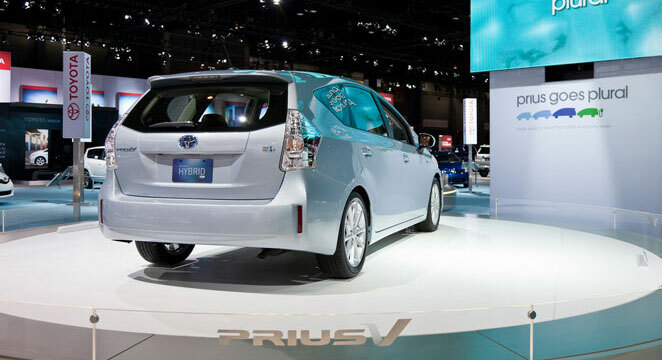 Prius V also consists of an enhanced safety element i.e. Safety connect which helps to contact the call center that in turn contacts to the police and emergency help lines. 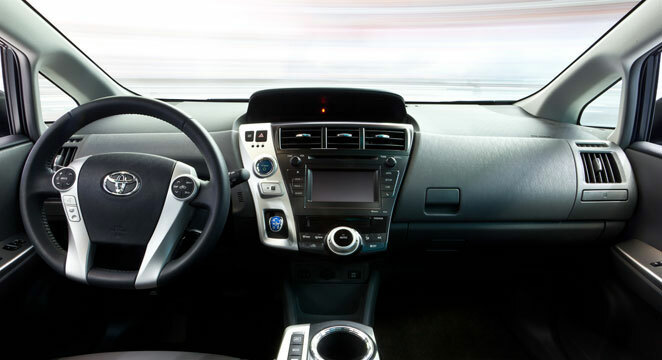 Other safety features include automatic collision notification and stolen vehicle locator, safety system in Prius V provides maximum safety to the passengers.